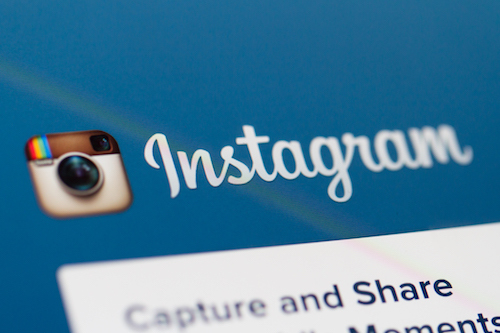 There’s no denying the overwhelming popularity of Instagram and the impressive place it holds among social media sites. And for those owning, operating or administering a WordPress site, having a tie-in between Instagram and their pages can really boost hits and visits and add serious curb appeal that helps drive traffic to a website. The great thing about Instagram lies in how it works at the most basic level: users can explore and find new accounts based on what they’ve already demonstrated they like and enjoy. Therefore, sharing Instagram photos on a WordPress site is, essentially, a two-way exchange: it helps those interested in your site find you on Instagram, and it guides those who have discovered you on Instagram to your site. Step 2 has you choose a “trigger,” and here you’ll want to select “any new photo by you.” The “If this then +that” statement will appear, and you’ll want to click on the “+that” to select what you want to do with the new photo. Then, on the succeeding screen, locate and add WordPress to the action service. You’ll now be prompted to connect to it, and a popup will appear. Here enter your WordPress site’s URL, admin username and password, then select the action you want to take. Now you’ll be able to add tags, custom captions and more to the photo. Once you’re happy with the photo and post, click on the “finish” button to save the applet. You’re now ready to post a new photo to your Instagram account, which will be automatically posted to your WordPress site. There is a second method for displaying the latest Instagram photo that doesn’t require creating a new blog post: just install and activate the Instagram Feed plugin, which will add a new menu item called “Instagram Feed” to your admin area. Then visit the settings page and authenticate the plugin so it can access your Instagram profile: click on the blue button to login, get the access token and user identification from Instagram and authorize the plugin. You’ll now be directed back to the settings page on your site, where you’ll need to click on the save changes button. And now that you’re up and running you can display an Instagram photo anywhere on your site simply by editing a post or page, deciding where you want the photo to appear and adding the shortcode [instagram-feed]. You can also change the number of columns or display the photos in your sidebar area and change the appearance of your photos (height, width, background color and more) by visiting the “customize” tab.